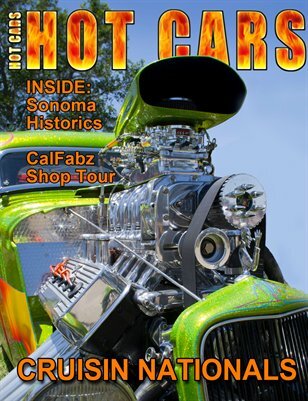 In this issue we take you to the Cruisin Nationals in Santa Maria, California and then to Sonoma for the Historics car races. We start the gas tank insulation in our project car, and catch up on Reader's Rides, Web Search, and the Small Scale columns. There's feature "Auto Art" by Javier Erbella and feature on Lillard Hills wild '34 Ford "Fink Rod"!